Hong Kong based, but claims to be 100% Chinese, Sinic is definitely an artist to keep an eye on. 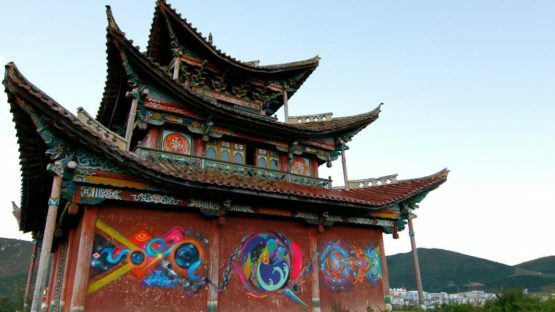 He mainly paints graffiti, combining western and Chinese calligraphy as a new type of fusion art form. 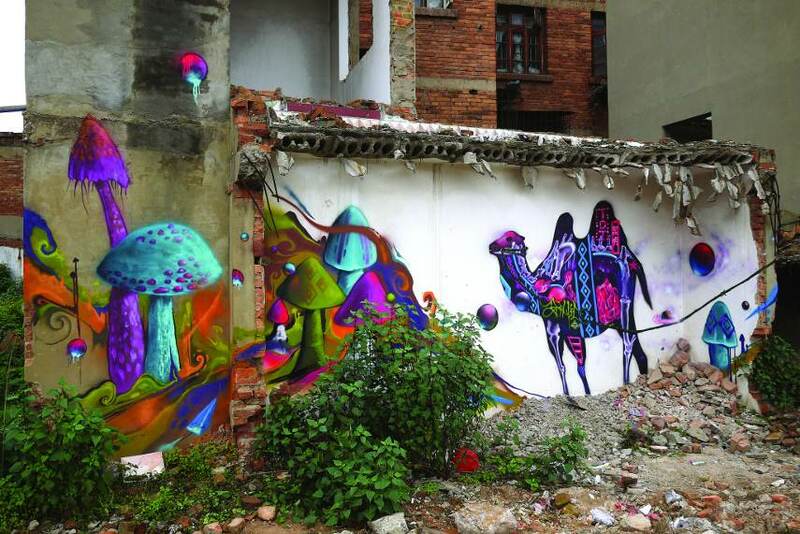 Sinic is putting a big effort in keeping street art alive in China, battling with stereotypes that graffiti artists are thugs and nobodies. He is also an organizer for Urban street culture events, such as Wall Lords, the biggest, annual graffiti event in all Asia, hosted in 9 countries. Throughout the years, graffiti scene has taken over all regions of Asia, and especially in the last few years, it constitutes the urban, street culture in Asia, slowly but surely changing its history. Festivals such as WL are organized as entertaining events, to help gather the most prominent graffiti artists in the region, to interact and exchange skills through competition, creating a free environment for expression. Growing up in a neighborhood resembling a ghetto, Sinic found his way out through drawing, from an early age, expressing his emotions onto a canvas. At the time, street style culture was blooming in Hong Kong. As he was a big fan of Hip Hop, and graffiti being a part of it, all that Sinic knew about this kind of art was through the music he enjoyed. It was only natural that he starts making graffiti himself, though at the beginning his style was wild, raw, untamed, lacking structure. All this changed after a famous graffiti artist, Neck (CNS) visited Hong Kong. Seeing his work changed Sinic’s perception and his painting took a different turn. He found two main motifs – animal and calligraphy. 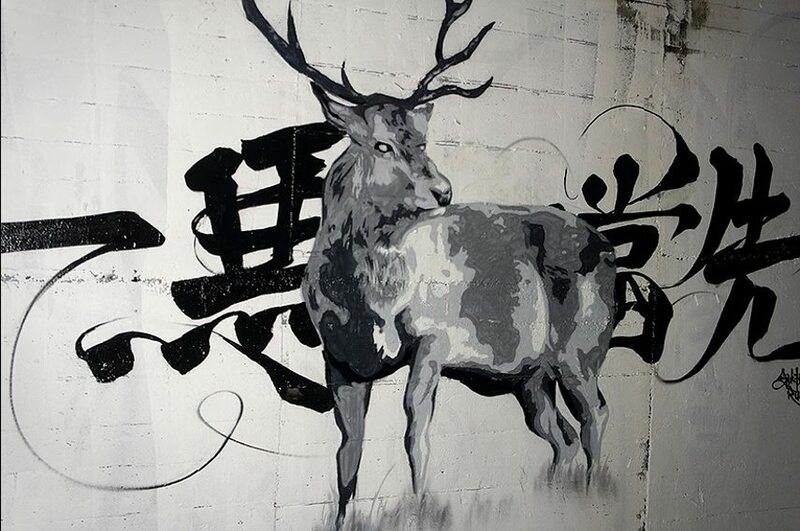 Using the latter to merge Chinese and Western culture, traditional and modern, with walls as his canvas. Sinic lives and works in Hong Kong.